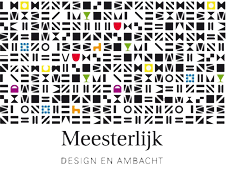 The fifth edition of Meesterlijk (English: Masterly) comes back to Amsterdam from 29 November to 1 December 2013. The Westergasfabriek will be the place, where furniture makers, fashion designers, glass artists, food designers, gold and silversmiths, carpenters and artisans will share their passion for design, fashion and craftsmanship. The Committee of Approval features the international fashion icons Iris Apfel and Diane Pernet, as well as the Dutch celebrities Lidewij Edelkoort, Richard Hutten and Jan Taminiau. There will be products for sale, like furniture, glass, crystal, wooden, metal and ceraic objects, as well as clothing, shoes, hats, bags, jewellery and other accessories. At Meesterlijk the Dutch Shoe Academy will give a demonstration of the creation of a shoe. Next story How does GVB Monitor Its Performance and Why do Travelers Complain?